Plaque erected at base of war memorial in memory of Private Rupert Edward Dudley Robinson who killed in action on the 10th February 1942. 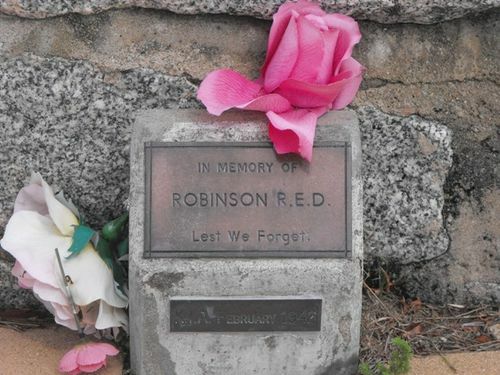 Private Robinson was a member of the 2/20 Battalion Australian Infantry and was aged 29 when he died. He was the son of Edward James Robinson and Elinor Jemina Robinson, of Bega, New South Wales.